M.P. 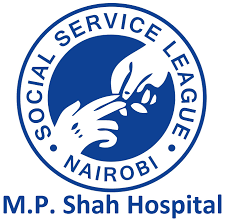 Shah Hospital is a Social Service league Hospital which has been in existence for the last 83 years, as a ‘not for profit’ organization. The Hospital has one single social objective of providing quality, affordable health care services to the community at affordable costs. It is a multi-super-specialty, state-of-the art, tertiary care hospital with a current capacity of 210 fully operational beds, 30 dedicated critical care beds, 10 renal dialysis units and 12 chemotherapy units. It provides all the modern out-patient and in-patient facilities with dedicated pavilions/ wards, specialty clinics, advanced radiology, pathology and Cath lab operations. We are going through exciting times of development and redefining the way health care is delivered in East and Central Africa region.